Ventrica, a European, award-winning, outsourced contact centre, has attracted a £9 million investment from Mobeus Equity Partners. Ventrica provides intelligent, multi-lingual and omni-channel outsourced customer service to a range of global ‘blue-chip’ brands. With returns from traditional asset classes eroded by low interest rates, there’s plenty of dry powder looking to ride the tech wave while it lasts. Amongst the riskier asset classes, (notwithstanding the cash flooding into cryptos and ICOs), VC is becoming an increasingly attractive destination for capital seeking hard and fast returns. As an indicator, VC assets under managements have tripled in just 3-4 years, while corporate venturing is back with a vengeance. Pitchbook data also shows that recent VC vintages are distributing capital back to LPs at a much faster pace than older ones, as well as carrying down more than 70% of their capital by the third year of investment. Compared to the return timelines of adjacent asset classes, one can see why VC presents an attractive alternative, especially with the average Private Equity fund taking a staggering nine years to achieve a Distribution to Paid-in Capital (DPI) of 1.0x. Fund performance data shows only a dozen of the top VC firms generate consistently high profits. Between 3-5 percent of firms generate 95% of the industry’s profits, whilst the big name funds in the upper decile rarely change. In a world where these firms are only as good as their last unicorn, this creates a ‘halo effect’ around a handful of well-known, long-standing funds, making it much harder for new entrants with no track record to attract exceptional founders. Meanwhile, a VC fund requires a 3x return to be considered a good investment by LPs, creating a lot of pressure to identify outliers and invest in “fund returners”. 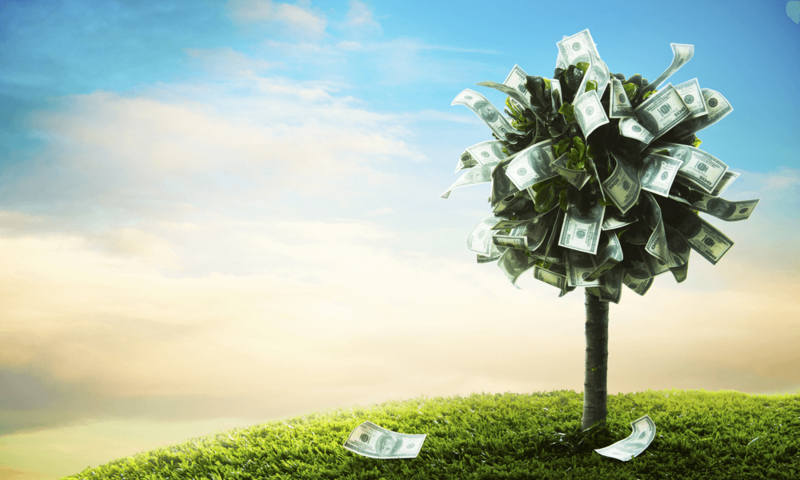 So what defines a VC fund’s success? Is it all about picking winners? Do the top funds have a magic-8 ball to predict the next big market, or the hottest new tech? Or are markets there for the taking, with interest from the top funds compounding valuations through a self-fulfilling prophecy? Surely, it’s all down to the agency of brilliant founders, who gravitate towards the funds with the most capital and the best advice? While it is hard to assess the additionality of advice over cash, at a later stage, picking winners is notably easier: more mature startups are typically generating revenue (though still unprofitable) and have moved beyond the most uncertain market and product development stages. The odds of a successful exit are also higher, with average loss-rates down to 30% and shorter holding periods (six years, on average). However, it is also harder for funds at this level to differentiate themselves and attract the best founders looking for the ‘smartest capital’ (cash + advice), although normally it defaults to whichever fund offers the highest valuation. So “if the pound in my pocket is no different to the pound in yours”, how can funds articulate their ‘value add’? 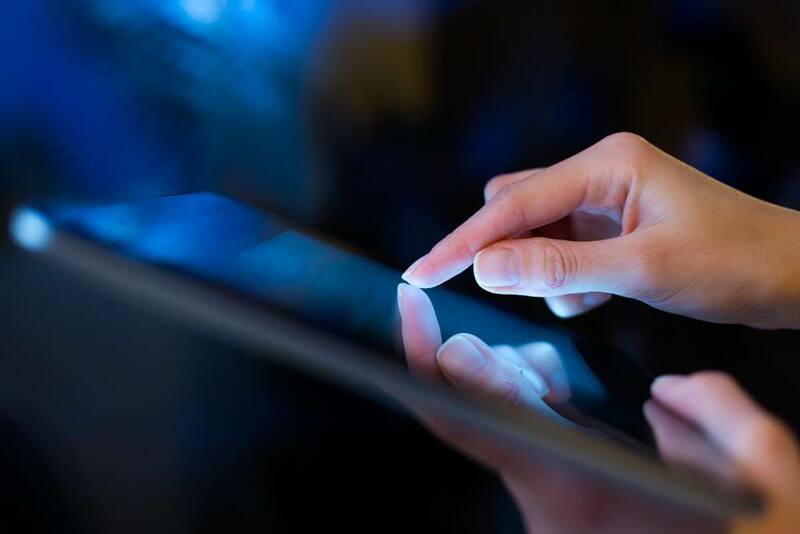 Scanning websites of the best-known funds, they highlight their talent network and team of GPs, but it’s the fund’s track record that stands out, but in practice, the additionality of cash plus advice is extremely intangible. Considering the circumstances, investing earlier makes a lot of sense, not least for pursuing fresh pastures, but also for the most capital efficient returns, where investors can justify a higher reward for the increased risk they are taking, following on relentlessly in the winners of each portfolio. However, the risks aren’t trivial, and according to Pitchbook, the loss rate amongst pre-series A startups is greater than 65%. Mark Suster, an investor at Upfront Ventures, captures this in his “1/3, 1/3, 1/3” principle: He expects one-third of his investments to be written down to zero, one-third to return the principal, and the remaining third to deliver most of the returns. There’s no shortage of microfinancing available to pre-seed (“idea” stage) startups (crowdfunding, ICOs, angels, grants, accelerators), but it takes more than just cash + advice to build a rocket, and traditional VC funds are not set up to operate at this level. From a risk-return perspective, fund economics don’t work. For most funds, it would require an unmanageable number of deals to beat the odds of a 35% success rate, and still return 3x to the the fund. The traditional VC workflow doesn’t scale: a handful of GPs/investors receiving polished pitch decks and warm introductions from well-networked founders stands in stark contrast to the thousands of “idea stage” submissions, and systematic screening efforts required. There’s a huge amount of serendipity involved, and this needs to be ‘designed in’ at scale. Most importantly, startups at this stage require more than just cash + advice. Founders need help to build stuff, and that requires resources most funds can’t sustain out of the traditional two and twenty model. At Forward Partners, we believe there’s a better way to support early stage founders. Charging a higher management fee to LPs (the percentage of their investment that contributes towards a fund’s operating expenses) unlocks a unique value-add in a team of operators. This allows funds to offer tech, growth and product expertise as well as the hands-on help that founders need in their first year of operations. By offering a ‘scale up team in miniature’ with experience across UX, design, full-stack development, talent, growth, PR and comms, a VC can truly help to mitigate the mistakes made by early stage startups, build stronger foundations for startups. Forward Partners is the UK’s leading early-stage VC fund, providing a game changing combination of capital and operational support to supercharge tech startups. Our unique model is helping to build the UK’s next generation of talented AI, e-commerce and marketplace businesses. The Dawn of Major Technological Breakthroughs in Cancer Medicine? Specifically, within the private equity space, what services/funds do you offer? Our funds offer investors an opportunity to invest in well managed, selected emerging breakthrough companies with high projected revenue growth in biotech and technology with an upcoming projected liquidity event typically 1-3 years out. 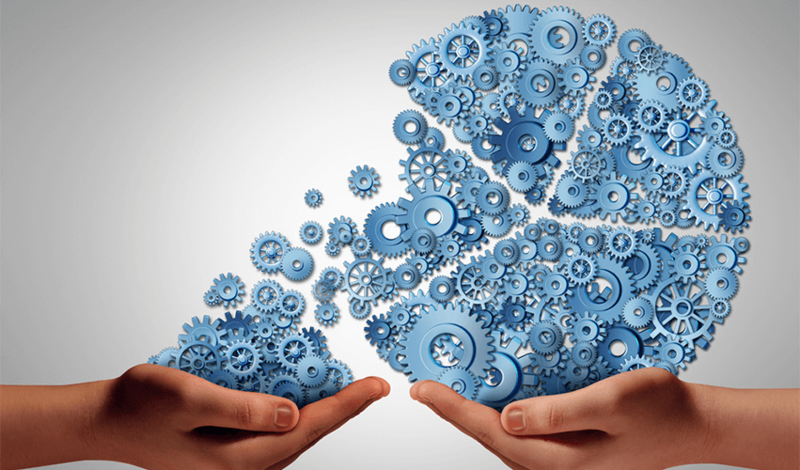 We focus on hard to source but well known exceptional growth tech companies. It feels great and I am thankful to Wealth & Finance International for their recognition and the award and appreciate their support of our industry! What do you feel is the secret behind your firm’s success? The secret is nothing new. Finding great companies to invest in. Putting in the hard work to help these companies, surrounding yourself with those smarter than you in your areas of weakness, learning from those smarter than you, being humble and building great relationships that last was instrumental to our firm’s success. Formulas change, investment strategies change but relationships don’t and neither does having a good heart and great integrity. I also learned that it is important to sell what sells. Just because you have a great investment strategy doesn’t mean people will invest in it. What is your firm’s mission and what steps do you take to achieve it? Our firm’s mission is to help eradicate cancer and invest in human progressive endeavours. We can do this by helping and investing into great companies with strong management teams and by working side by side with companies and being an integral part of the management team. Our work at Genprex will continue indefinitely and we believe it will become a major game changer in the cancer biotech industry. We believe mankind is at the beginning of the Great Age of Biotech. I think Genprex could be a global leader in cancer gene therapy. Dr. Jack Roth, the inventor of Oncoprex is a gene therapy pioneer and leading lung cancer surgeon so supporting him, the officers and the company during this development phase was key to its current success. The potential to save and improve the lives of millions of cancer patients around the world is an honour and a major responsibility at the same time. 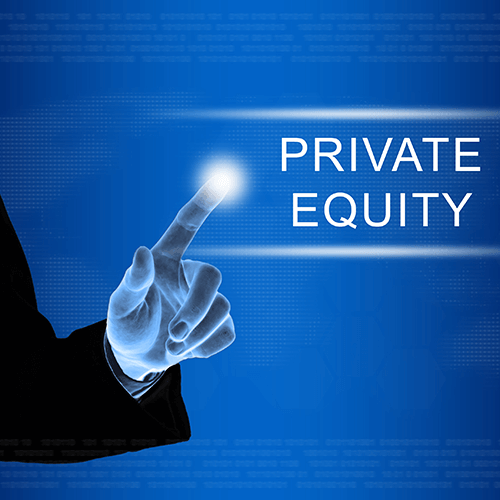 Please give us an overview of the private equity industry in your region currently. What are the major challenges and opportunities you encounter? The venture capital and private equity markets in Seattle is very vibrant and busy. We have amazing tech and biotech start-ups emerging from Seattle all the time and it is a hub of the tech titans from Amazon, Microsoft, Facebook, Google and so on. For the most part start-ups are getting funding for great ideas and startups are more focused on the bottom line than they have previously. The ability to scale with technology and the lowering of operating costs due to Amazon Web Services and Azure has helped many tech start-ups control costs and cash burn and helped move into profitability quicker. Talent has never been better as very smart entrepreneurs either graduate or leave established companies looking to fill niche areas in the marketplace and tech scene. Major opportunities that I am focusing on moving forward, in my opinion is biotech and space endeavours. The Cosmos and the Microcosm present equal challenges and major opportunities. Biotech has a faster ROI but ‘space’ has infinite revenues. I can’t speak glowingly enough about Elon Musk and SpaceX’s mission. It reminds me of the Vanderbilt’s construction of the railroad system in the 19th century. The railroads created new commerce hubs and major cities thus expanding the GDP of the country and SpaceX is fulfilling the same destiny but for interplanetary commerce, colonisation and ultimately building whole new global sources of GDP. SpaceX is building railroads to the stars and when you map out the potential revenues, one can see that infinite revenues are possible in the longer terms and that growth looks potentially unlimited. This is the first time I have ever used the infinite symbol when describing long term revenue growth. In my opinion, SpaceX could be the first trillion-dollar market cap company, if not the first, one of. What does the future have in store for your business? Do you have any specific projects or plans you would be willing to share with us? Genprex will keep me busy for a long time, as will working on my foundation and managing our VC funds. Cancer has been exceptionally difficult to treat due to the thousands of different genetic mutations of cancer. Humans are waging a major molecular biological war. I believe we are on the cusp of major technological breakthroughs in cancer medicine. These innovations will also give us the ability to eradicate most cancers or control them within the next 25 years. Immunotherapy, regenerative medicine, gene therapy, gene editing, stem cell therapies and robotics will all play a role in helping treat the 10,000 diseases that afflict the human body. We are also planning a documentary on Genprex, biotech start-ups and on the cancer biotech industry later in 2017, chronicling the Genprex story, our journey and to support the fine men and women at our hospitals and research centres, trying to find the cure and to ultimately destroy or control cancer, once and for all. Yes, look for Genprex’s (GPRX) IPO in late Q1 on Nasdaq, invest in us if you believe in our mission and company and to follow our story. ClearlySo ATLAS helps private equity and venture capital investors assess the social and environmental impact of their investments and provides practical suggestions for action. Research increasingly shows that there is a positive correlation between impact and financial return, and lack of awareness about negative impact is a risk. The methodology ClearlySo ATLAS uses to assess impact combines current best practices, industry-wide expertise and years of in-house experience developed at ClearlySo. Private Equity Reporting Group, Principles for Responsible Investment, European Union Directives and Red Line Voting are all considered and the results are mapped to the UN Sustainable Development Goals ensuring investors engage with the latest market expectations. To learn more about ClearlySo ATLAS please visit www.clearlyso.com/ATLAS/. Before Privet I was at Deloitte for nine years doing insolvency and restructuring, then 10 years at 3i. This combination of investing and operational experience lead me to set up Privet in 2008. Last year was a really positive one for us with two very interesting investments, both in the manufacturing sector which we know well. Both were strong businesses but with challenges in strategic focus and management. Both also had historic pension problems. These are just the sorts of things we look for. We like to get stuck in to the operational detail of businesses – our style is very hands on. That’s a bit of a cliché these days but, as one investor said to me the other day, there aren’t many PE firms that really do it – we do, with the Privet team spending 2-3 days per week with our businesses in the early days. Breaking down a business into its core components and assessing what they do well and what they could improve on is key. Bringing the team and the overall business together to identify solutions to any problems is vital. Although our management style is quite challenging it’s also very transparent. In order to understand how to make businesses better we can ask hard questions but in a sense there are no right answers as such, which seems to be quite a refreshing approach for many management teams! 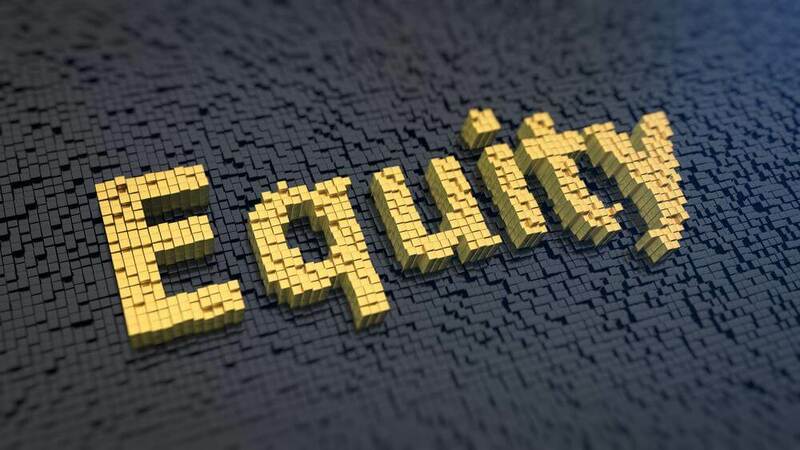 It has been interesting watching the private equity market continue to evolve over the last few years as the players move around in a fairly Darwinian way. Investors are now looking for more clear value propositions rather than just buying a business and making money through financial engineering. 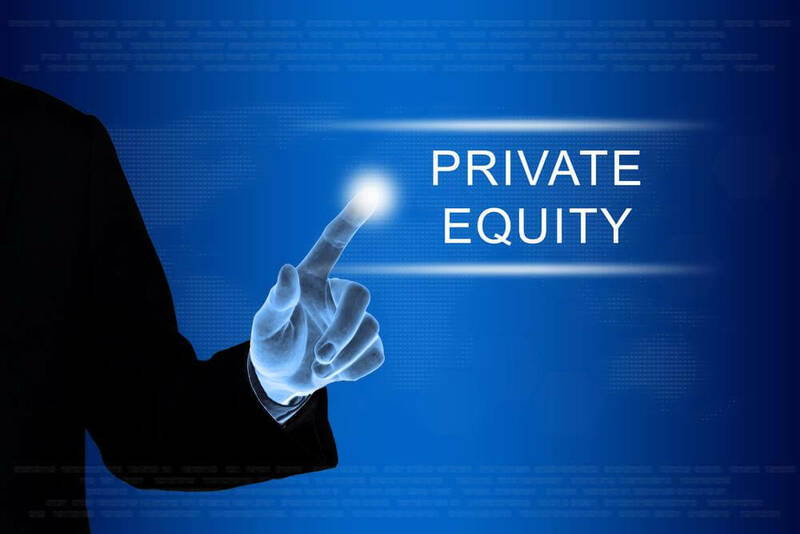 In a very competitive market you need to be seen doing something different, in a sense going back to private equity roots can help you stand out from the crowd as you look to make good money by genuinely improving businesses. The credit market has also been interesting, with a real polarisation in availability. Really good businesses can get great gearing, and the bottom end has a broader range of specialists now. But the mediocre businesses struggle. In terms of technological developments they seem to be occurring faster and faster. I’ve been fascinated by the recent headlines around robots taking people’s jobs. I think it is over-played, but there is a real change we will need to adapt to, albeit gradually. It is our hope this will continue to evolve in a positive way and provide an opportunity to create something new or a new way of looking at something. Within the businesses we’ve invested in, Aeromet for example as a small UK manufacturing business has developed a fantastic new alloy technology which will effectively pave the way for our growth over the next few years. Similarly with the defence optical products business we have, new product development is key to keeping our customers engaged. Technology can be quite risky, not everything will work, risks and opportunities need to be carefully considered. If you don’t keep track of technology you will, though, be left behind. We were please to get this award – it is always nice to get some recognition for some of the good stuff we do. At present this is a very good place to be. Going forward, we are looking to identify similarly interesting businesses which will enable us to be very much ‘hands on’. Taking a business to a completely different level where we can make a difference is what we are all about. Buying a business which already has steady growth isn’t for us, we are looking to apply our skills and experience to more challenging situations. together managing proprietary capital for Goldman Sachs, and as such have considerable experience in and knowledge of financial markets. The firm is focused on capital preservation before return generation. This approach is borne from both the background, experience and natural biases of the portfolio managers. Auscap’s overall investment objective is to generate strong absolute returns with low correlation to equity markets. The firm manages one fund – the Auscap Long Short Australian Equities Fund. The fund uses a value based approach, searching for companies that exhibit certain characteristics, including strong Return On Invested Capital (ROIC), Return on Assets (ROA) and cash flows, a sensibly geared balance sheet and businesses with a competitive advantage. We then invest in these businesses when they occasionally trade at what we believe to be attractive prices. Typically we do not invest in early stage emerging industries, or in fields where we have a clear knowledge and/or information disadvantage compared to other industry experts or market participants. We would rather invest in businesses that we think we understand and have typically been around for some time. We do try to keep abreast of news materially affecting the earnings of the stocks that we own given our analysis is quite data driven. We remain consistent in our investment philosophy and process, irrespective of changing industry dynamics. Risk is controlled in the furd through retesting our hypotheses around poorly performing positions, far more time than we spend assessing positions that are acting in accordance with our expectations. In this way we manage risk by managing where we might be wrong or where the market is telling us that we are incorrect in our analysis. Ultimately the fund will experience volatility given it is exposed to equity prices which can fluctuate significantly. However we would be disappointed if the fund did not have significantly less downside volatility than the market over time, both because of our value bias on the long investments and our ability to take short positions to protect the portfolio in the event of broad negative moves in the stock market. Ultimately a fund manager is judged by its performance, and therefore maintaining strong returns is key. Since the fund’s inception in December 2012, the fund has achieved strong returns for its investors, annualizing 33.1% per annum, with annualized volatility of 11.3%, a Sharpe ratio of 2.40 and a Sortino ratio of 4.81. Investor relations is also a key aspect of our work, and one we take very seriously. We think of our clients as our partners, and therefore we are keen to find like-minded investors, those who share a value based investment philosophy, so that we can build fruitful long term relationships. We try to treat our clients in the manner that we would want to be treated were the roles reversed. In order to achieve this we always try to clearly communicate our investment approach with all current and prospective investors. 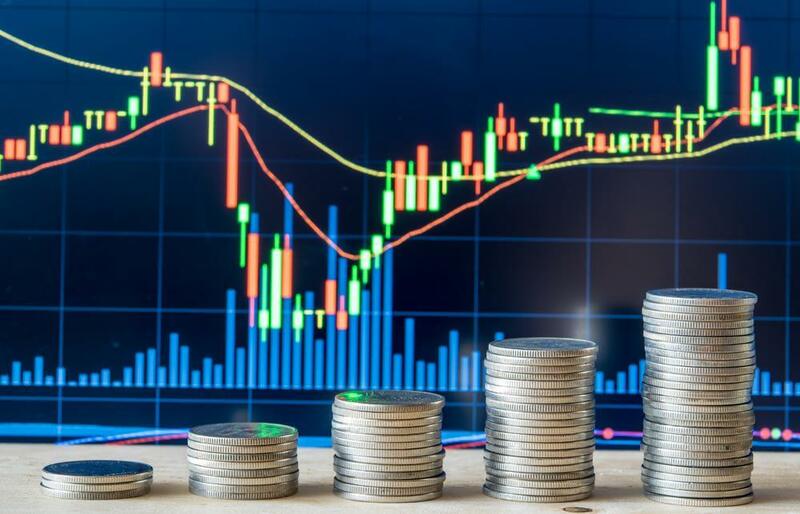 We do this though our monthly newsletter, which provides us with an opportunity to both report the performance of the fund and discuss a subject that we have found interesting in our research and analysis of the market. Through the newsletter and other investor communications we hope to attract the right long term partners. We have a high focus on our staff, as we believe that culture is critical within an organisation. When hiring staff we take the view that the type of person is more important than the resume. We look for people who share the firm’s values: personal and professional integrity; humility; an approach of treating everyone they meet with the same positive attitude and engagement; and a drive to maintain high standards of performance. Despite striving for excellence we believe that we have a very positive culture within Auscap. We believe building culture is about hiring the right people and leading by example. If you create the right role for the individual, give them appropriate responsibility and yourself act in accordance with the firm’s stated standards, these things foster the right behaviours. The organisation, employees, service providers and clients all benefit from a strong positive culture. Looking to the future, our vision is to create a leading funds management business that has a reputation for consistent outperformance, strong risk management, a positive culture and integrity. Ultimately Auscap’s objective is to generate long term wealth for our investors. In 2016 we hope to continue to expand our investor base with the right people, grow the firm and deliver for our investors. Over a third (34%) of the UK’s serious investors – with more than £100,000 in investments – would invest in SMEs but do not have the knowledge to do so. This equates to £126 billion in untapped private investment funds. 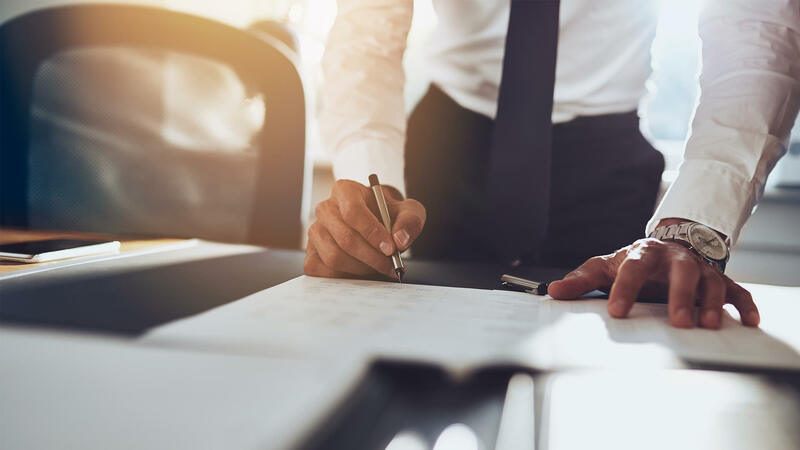 The lack of awareness is despite the fact that 71% of private investors with over £40,000 worth of investments feel confident in the growth capabilities of UK SMEs and 54% are looking to the Enterprise Investment Scheme (EIS) for the new tax year. Research launched today by private equity firm IW Capital across 2,000 UK adults and investors reveals that billions in vital development finance is left inactive due to a lack of investor knowledge. This is despite David Cameron’s 2015 pledge to fill a £1 billion funding gap that is preventing the growth of UK SMEs, fuelled in part by institutional lending reducing at a rate of £5.7 million a day. Osborne’s latest Spring Budget focused heavily on the micro-businesses of Britain’s private sector, but did not do enough to educate high-net-worth individuals as to how they can invest in upscaling SMEs. Given the high levels of confidence and subsequent intentions ahead of the imminent new tax year on April 6th, the research further analysed investor sentiment towards one of the last private equity initiatives supporting SMEs – EIS – with 64% of investors who intend to invest between £100,001 and £250,000 looking to this scheme for their investment plans. Over of half (54%) of investors with over £40,000 in portfolio size (not including their mortgage or pensionable assets) will do so imminently for the 2016/17 financial year. In his eighth Budget under Conservative power, Osborne addressed the nation with a directed agenda for business, aimed at “lighting the fires of enterprise”. That said, little was announced to specifically address a finance deficit – billed by Cameron as a “valley of death” funding gap – crippling UK SMEs who are faced with transitioning from fledgling start-up into thriving mid-size enterprise. With the majority (55%) of small and medium-sized enterprises failing to survive more than five years, today’s research unveils a vast pool of available investment finance left untapped, despite investor sentiment indicating high levels of confidence and financial intention in support of UK SMEs. When analysing the sentiments of the 2,000-strong national sample further, Osborne’s Spring Budget is particularly pertinent. Predominantly addressing mid-earner taxation – with those earning under £45,000 removed from the higher rate tax threshold – those who do fall into the higher and additional rates of payment were relatively overlooked. Accounting for 16% of the UK taxpayer population, this high-earner group contributes a disproportionate 67% of the country’s income tax bill. IW Capital’s nationally representative research examines just how much income tax the UK’s high-earners pay in comparison to the national average, with a focus on specific investor sentiment towards one of the last remaining tax relief initiatives – EIS. The research was also commissioned to establish investors’ 2016/17 tax planning agenda, and is supported by qualitative insights from Sarah Wadham, the Director General of the EIS Association. In response to the research, CEO of IW Capital Luke Davis, said: “Despite containing some positives for business, the 2016 Spring Budget failed to adequately address the critical issue of development funding for Britain’s upscaling businesses. Our research shows that investors are confident in the growth capabilities of UK SMEs and are considering investment through EIS, but many do not know how to execute these plans. The result is a huge pool of untapped potential investment funds. I was disappointed at the lack of policy supporting alternative finance, especially in light of its vital contribution to economic recovery. We have focused on attracting and retaining the requisite human and intellectual capital which we deploy in key markets to assist in the appropriate risk-adjusted return analysis of the investment opportunities we review. 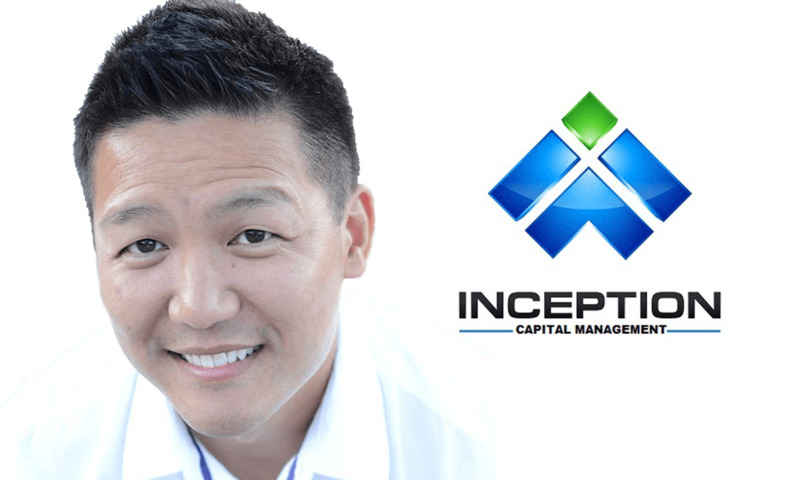 Our leadership team has been together for over 20 years and successfully built one of the largest fully-integrated real estate services companies, Insignia Financial Group, Inc., prior to creating C-III. Founded on that deep industry expertise, C-III is focused on using its platform to meet the needs of all constituents in the commercial real estate industry. We are confident that our products, services and strong relationships will make valuable contributions toward enhancing the financial returns of our clients’ commercial real estate portfolios. In the current lending landscape, it is a good time to be an investor and a lender; we are both. Volatility in the current environment is making it challenging for borrowers to get a firm quote. Due to new CMBS risk retention rules that are set to take effect in December 2016, investors’ yield expectations are set to widen and borrowers are concerned their costs will increase. This prospect is driving many borrowers to refinance prior to December 2016, resulting in a significant increase in volume. Only a relatively finite number of investors and lenders that have a fully integrated real estate platform – like C-III’s platform – can manage this increased volume to properly underwrite and manage risk. To be innovative within the industry and tailor our solutions, we scale our fundraising to closely align our ability to deploy capital with the available investment opportunity. Fixed income markets in particular have cycles of price volatility that influence the pace and returns associated with capital investments. Our equity funds are sized relative to the opportunity set we see for the next two to three years. Since 2010, our investors have committed over $1.3 billion to our debt and equity strategies. 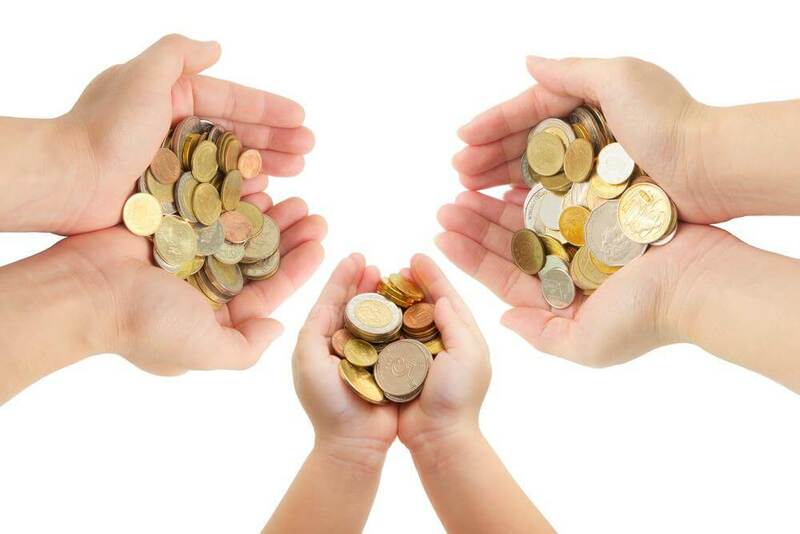 Our equity funds focus primarily on opportunities where we are able to enter at an attractive basis relative to replacement cost, often times by purchasing a defaulted loan and securing a fee simple title through foreclosure or deed-in-lieu of foreclosure, and taking over management of the property with the goal of improving operations. We improve operations in numerous ways, such as reducing bad debt collections, eliminating unnecessary expenses and passing on reimbursements to residents where applicable. Through this strategy, we seek to achieve outsized returns relative to the risk of the investments. 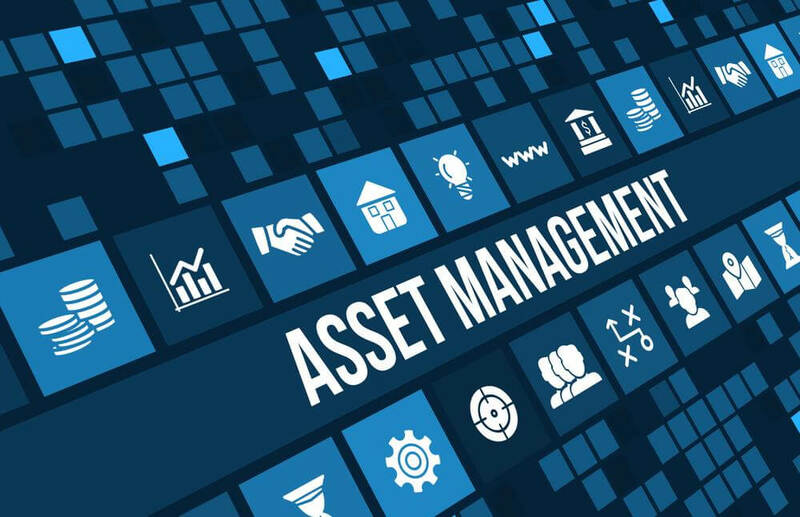 With a broad range of activities, C-III Investment Management currently manages 26 investment vehicles, separate accounts and CRE-CDO/re- REMICS. The responsibilities of the vehicles include principal acquisition, financing, asset management, property management, disposition, administration, surveillance and workouts. Our investors include some of the largest pension fund plans, university endowments and insurance companies in the United States, as well as private equity firms, private pension plans, fund-of-funds and high-networth individuals. What are the primary target investments for funds and accounts managed by C-III Investment Management? Target investments include commercial real estate equity, distressed commercial real estate mortgage loans, CMBS (including newly issued B-Pieces), CDOs, whole loans, B-notes and mezzanine debt. Firstly, our basic skill set enables us to identify and execute on investment opportunities amid challenges and volatility – this includes the expertise to underwrite assets brick-by-brick; to accurately assess risk; to capitalize on opportunities at the ideal time; and to scale fund size to meet the available market opportunity. Secondly, we have the resources to distill data into valuable information and use that information to drive effective decision making. Thirdly, we possess the discipline to exit investments when our business plan has been met. Finally, we have the discipline to not invest when opportunities do not exist within the investment strategy. In 2015, we launched a new series of debt funds to focus on newly issued unrated and non-investment grade CMBS. With our expertise in the space, we have a good track record of investing in CMBS B-Pieces that dates back to some of the first issuances back in the early 2000s. Our deep understanding of these assets enables us to see that the market was too risky from 2005 to 2007, so we chose not to invest over that timeframe. With significant opportunities available going forward, we are well-positioned with adequate capital available to make the most of these opportunities. Specifically, we expect numerous acquisition opportunities to arise out of the current volatility in the capital markets, as well as over $1 trillion of commercial real estate loans scheduled to mature in the next four years alone. We are honored to be named the 2015 Real Estate Investment Manager of the Year. When we formed C-III Investment Management in 2010, there was a fair amount of pessimism in the market about the wisdom of starting a new investment management business. Conventional wisdom at the time indicated that institutional investors were generally focusing on working with a small set of existing managers, not new, “first time” managers. Over the past six years, it’s been gratifying to witness our investment management business grow from a standing start to achieve this level of performance. Our principals’ 25+ years of experience in the real estate investment and management space enabled us to create a truly new, different model that has delivered strong results. We are eternally grateful to our entire investor base for their confidence in and support of our firm. The first mandate is from a leading Scandinavian pension fund looking to gain exposure in Latin American equities; the second is from a European Asset Manager wanting to invest in Middle East and Africa equities. 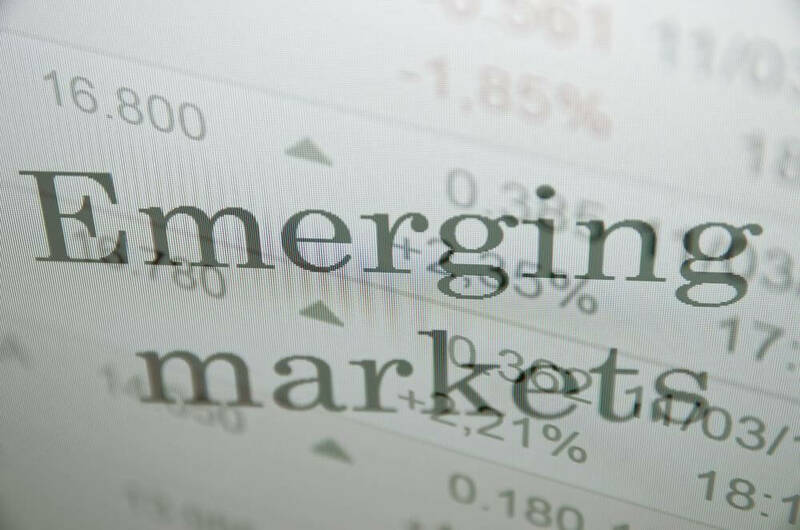 “Whilst the environment for emerging market equities remains difficult, there are excellent opportunities for long term investing in quality stocks that have been pummelled by the overall negative sentiment in the asset class. “Charlemagne Capital continues to produce long term alpha across its regional and global strategies investing in quality emerging market equity companies, also in the mid and small cap space. It is always difficult to call the bottom of any cycle but with three years of significant outflows from emerging markets, we may well be close to a point of change. Following the closure of the transaction, Ivory’s senior partners will continue to hold a majority of the equity of the business and direct its day-to-day operations. Founded in 1998, Ivory is a leading investment firm with a 17-year history of alpha generation through a research-intensive, fundamental value-based approach. As of September 30, 2015, Ivory managed approximately $3.6 billion in assets across long/short equity and long-only investment strategies, with the principal investment objective of delivering high absolute returns on a risk-adjusted basis, with low correlation to market indices. The firm has a consistent track record of capital preservation during periods of market dislocation, and has generated significant alpha across multiple market cycles since inception, meaningfully outperforming the S&P 500® across all relevant time periods. Led by Founder and Head Portfolio Manager Curtis Macnguyen, the firm’s senior partner group includes President and Chief Operating Officer Mark Waissar, Senior Portfolio Managers Neil Chudgar and Brad Lundy, and Head Trader Matt Bailey. As part of the transaction, Ivory’s senior partners have agreed to long-term commitments with the firm. The transaction is expected to close by December 31, 2015. The terms of the transaction were not disclosed. Green Key Technologies, winner of the 2015 most promising sell-side start up award and maker of patented voice software designed specifically for traders and brokers, today announced that Chicago-based trading firms DRW and Eagle Seven have become equity owners. The patented Green Key cloud-based “software turret” completely replicates the functionality of legacy hardware turrets and lines, but at a fraction of the cost. 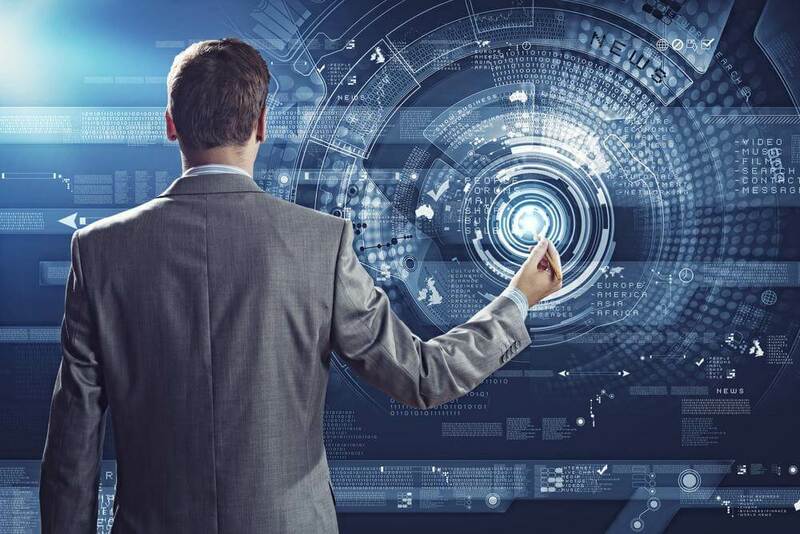 Traders and brokers simply download the voice software onto their PCs, establish connections to counterparties and “push-to-talk” in real time with an unlimited number of users. 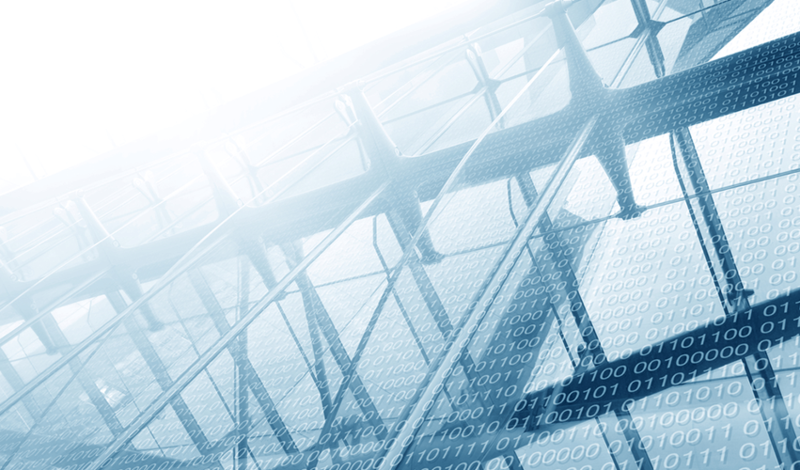 Communication is encrypted and recorded and can be transcribed for real-time compliance capabilities. Green Key also announced that Don Wilson has agreed to serve on the company’s advisory board. Wilson will join former CFTC commissioner Jill Sommers, former CEO of ICAP Electronic Broking David Rutter, and former General Counsel of ICE Exchange Jim Falvey. As part of the advisory board, Wilson will provide guidance to company management, assist in forming strategic partnerships, and spearhead ongoing investment discussions with top banks, brokerages, trading firms, and exchanges across the globe. Green Key’s VoIP network has grown steadily since its launch in 2014, and now includes over 225 of the world’s largest banks, brokerages and trading firms. 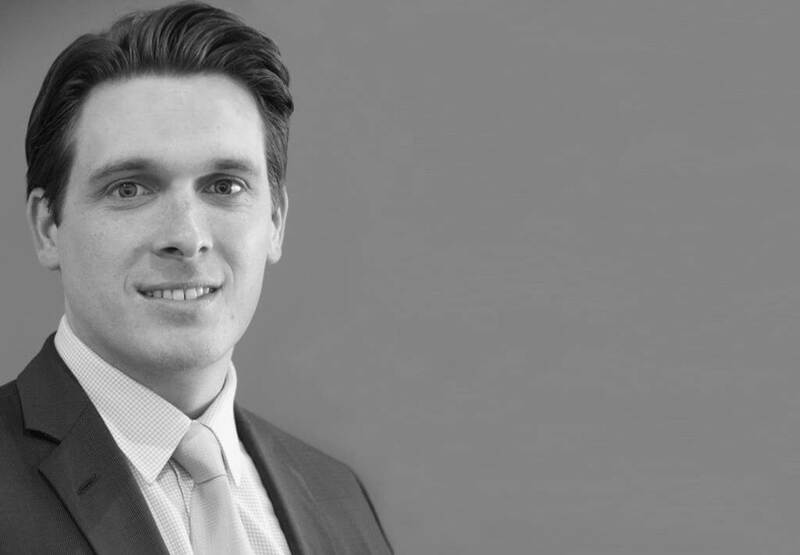 Bryon joined Ogier in 2005 and has a broad practice, although with a focus on investment fund, corporate, regulatory and finance related work. 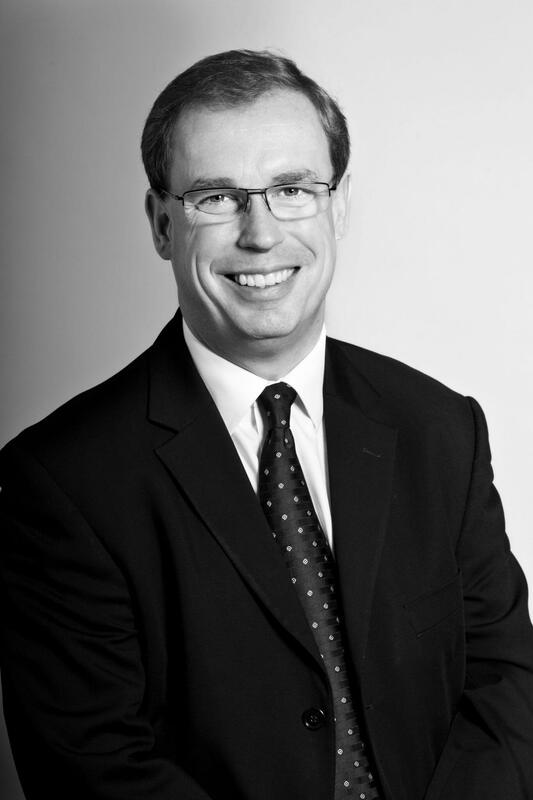 Bryon is a Guernsey advocate, South African attorney and English solicitor. Legal directories describe him as technically excellent with great communication skills. Bryon’s appointment, which takes effect 1 October, brings Ogier’s total partnership to 51, with seven in Guernsey. Ogier’s Guernsey team is ranked Tier 1 in three leading legal directories – Chambers UK 2015 (corporate finance including investment funds), IFLR Corporate Finance and Investment Fund sectors, and Legal 500 2014, in the Commercial and Banking sector. Fund IV took less than a year to raise, with demand from both existing and new investors significantly surpassing the Fund’s original target amount of $2.25 billion. Investors in KSL IV include a diverse group of state pension funds, corporate pension funds, sovereign wealth funds, endowments, foundations, insurance companies and family offices. This follows warnings yesterday from the Bank of England that the International Monetary Fund needs more resources and better tools to help emerging economies deal with the spill-over from slowing growth and future interest rate rises in advanced economies. On the back of this, we would like to introduce you to our client Sun Global Investments, a leading emerging markets investment and financial securities firm headquartered in London with offices in Dubai and Mumbai. “The slowdown in China, reconfirmed by today’s poor manufacturing figures, is causing a sharp fall in Chinese stocks and in global commodity prices. Whilst emerging market commodity importers such as countries in South East Asia will benefit from lower commodity and oil prices, commodity producers such as Russia, Brazil, South Africa, Australia, Canada and South Africa will be hit the hardest as their assets and currencies plummet. 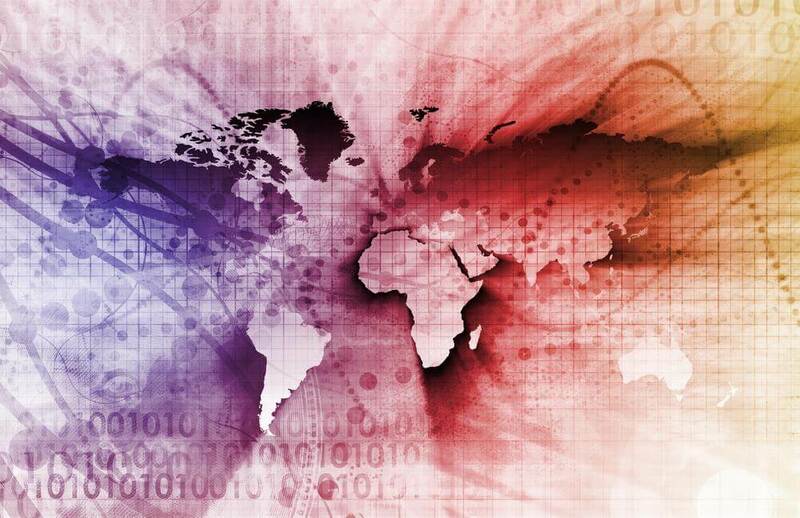 As a result, the crisis has created fears about global growth prospects and so investors should be cautious about investing in emerging market assets, as further price declines and volatility are likely. Sun Global Investments was established in 2008 in the midst of turmoil in the financial services industry but, through identifying lucrative opportunities in emerging market corridors, has since emerged as a leader in BRIC investments. The firm provides a full scope of services to institutional investors, corporate companies, family offices and high net worth individuals with established business areas in Securities Trading, Wealth Advisory, Corporate Finance and Fund Advisory, and of expertise in Fund Raising, Restructuring, Equities, Fixed Income, Fund Management and Real Estate. The $750 million offering aggregate principal amount of 4.0% senior unsecured notes due June 1, 2025. The notes were priced at 99.926% of their face amount to yield 4.009%. The company intends to use the net proceeds from this offering to repay advances under its primary unsecured credit facility and for general corporate purposes, including investing in health care and seniors housing properties. Citigroup Global Markets Inc., Jefferies LLC, J.P. Morgan Securities LLC, UBS Securities LLC, Credit Agricole Securities (USA) Inc., Goldman, Sachs & Co., Merrill Lynch, Pierce, Fenner & Smith Incorporated and Morgan Stanley & Co. LLC served as joint book-running managers for the offering. The Company has six months to draw on the term loan facility. Proceeds from the term loan facility may be used for acquisitions, refinancing of existing indebtedness, and other general corporate purposes. The term loan facility matures on May 8, 2022 and will bear interest at a rate per annum equal to, at the Company’s option, the base rate or LIBOR, plus an applicable margin based on the Company’s leverage ratio. The initial interest rate will be a rate per annum equal to LIBOR plus 1.60% based on the Company’s current leverage ratio. The term loan facility ranks pari passu with the Company’s existing $850 million unsecured credit facility. 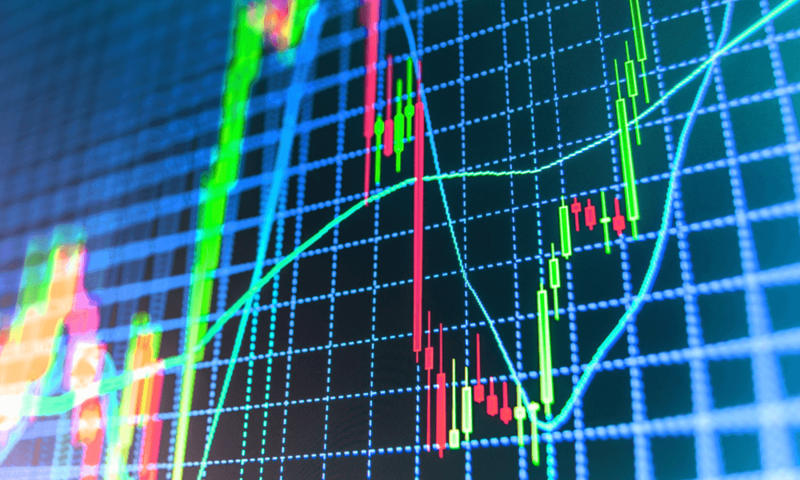 In addition, NephroGenex expects to grant the underwriters a 30-day option to purchase up to an additional $4.5 million of shares of its common stock in connection with the offering. All of the shares in the offering will be sold by NephroGenex. The offering is subject to market and other conditions, and there can be no assurance as to when or whether the offering may be completed. Canaccord Genuity Inc. and JMP Securities LLC are acting as joint book-running managers for the proposed offering. In addition, Oppenheimer & Co. Inc. is participating as lead manager, and H.C. Wainwright & Co., LLC and Noble Life Science Partners are participating as co-managers in the offering. A registration statement relating to these securities has been filed with the Securities and Exchange Commission but has not yet become effective. These securities may not be sold nor may offers to buy be accepted prior to the time the registration statement becomes effective. A copy of the prospectus relating to the offering, when available, may be obtained upon request by contacting the Syndicate Department of Canaccord Genuity Inc., Attention: Syndicate Department, 99 High Street, 12th Floor, Boston, Massachusetts 02110, or by telephone/email at (800) 225-6201/ [email protected], or from JMP Securities LLC, Attention: Prospectus Department, 600 Montgomery Street, 10th Floor, San Francisco, California 94111, or by telephone at +1 (415) 835-8985. The registered direct offering in the United States resulted in net proceeds, after expenses, of approximately $3.2 million. As previously disclosed, the Company sold, to a single institutional investor, 5,230,770 units at $0.65 per unit for gross proceeds of $3.4 million. Each unit consisted of one common share and one warrant, good for three years, to purchase 0.5 of a common share at a purchase price of $0.85 per share. This press release does not constitute an offer to sell or the solicitation of an offer to buy any securities of the Company in this offering. There shall not be any offer, solicitation of an offer to buy, or sale of securities in any state or jurisdiction in which such an offering, solicitation, or sale would be unlawful prior to registration or qualification under the securities laws of any such state or jurisdiction. Any offering in the United States will be made only by means of a prospectus, including a prospectus supplement, forming a part of the effective registration statement. Rare Element Resources Ltd. is a publicly traded mineral resource company focused on exploration and development of rare-earth element deposits, specifically those with significant distribution of critical rare earths. The Company is advancing plans to develop the Bear Lodge Project, located in northeast Wyoming. Bear Lodge is a significant mineralized district containing many of the less common, more valuable critical rare earths that are essential for electronics, fiber optics, laser systems for health and defense, as well as many evolving green technologies, like hybrid cars, solar panels and wind turbines. Permitting and feasibility work on the Project continue to advance. The Company is a member of the U.S. Department of Energy’s Critical Materials Institute, a combined government and private sector organization committed to eliminating supply chain issues for rare earths and other critical elements. -The value of share trading rose 17.4% worldwide to 81 trillion USD from 2013. -The number of trades rose 23.7% from 2013; the average value of trades continued to decrease. -A continuing good performance of equity markets as Global Market Capitalization rose 4.3% to 68 trillion USD from 2013. -Good performance of IPO markets and investment flows. The number of IPOs rose 24.3% from 2013 to 1421. Total investment flows in USD increased 22.6% from 2013 to 894 billion USD. -Exchange Traded Derivatives (ETD) volumes rose 2.8% from 2013, mainly driven by commodity derivatives. “The numbers illustrate that investor demand for financing and ways to transfer risk continue to grow,” said Nandini Sukumar, Acting CEO of the WFE. “Exchanges are — and will remain — the natural place for both those needs. Volumes are growing across asset classes, investment flows are increasing and IPO’s are strong. There is confidence that capital markets can provide the means for growth. For more information about the report, please visit here. Schroders has admitted that it is ‘disappointed’ and ‘surprised’ by the departure of the group’s longstanding manager of its UK Opportunities fund. On Monday 8 September, the asset manager for the firm confirmed that Julie Dean is to leave. Ms Dean had led Schroders’ recently acquired large-cap fund for the last 12 years, with the asset manager confirming that she had been replaced with immediate effect. It is understood that a member of her incumbent investment team and decade-long colleague, Matt Hudson, has stepped up to the role. Ms Dean had joined the asset management firm large year, when Schroders completed the acquisition of Cazenove Capital. Under her leadership, the UK Opportunities fund has returned 314%. This is comparable to the FTSE All-Share index increase of 190% over the same period. Throughout the industry, Ms Dean had established a strong reputation on the back of the fund’s consistent performance, with industry analysts saying her loss will be badly felt at Schroders. Since the Cazenove purchase however, the fund has performed less impressively, losing 1.4% to the end of July 2014. Comparatively, the FTSE All-Share index posted an increase of 5.6%, though industry analysts have suggested this was largely as a result of only a number of key stocks performing badly. The pension reforms announced in the Budget in March have also been mooted as having a detrimental effect on the fund’s performance. In what appears to be further validation of Ms Dean’s performance, Mr Hudson is understood to be maintaining the UK Opportunities fund’s present investment strategy. Having worked with Ms Dean for a decade, it is clear that consistency is being held by Schroders. However, industry reports after Ms Dean’s departure was confirmed saw a number of analysts remove the £2.1 billion fund from their buy lists. With Ms Dean not giving comment at the time of writing, it is understood that Schroders is unaware of her plans. However, there is speculation that she could join two of her former colleagues Chris Rice and Tim Russell in the Sanditon Asset Management venture they formed last year. 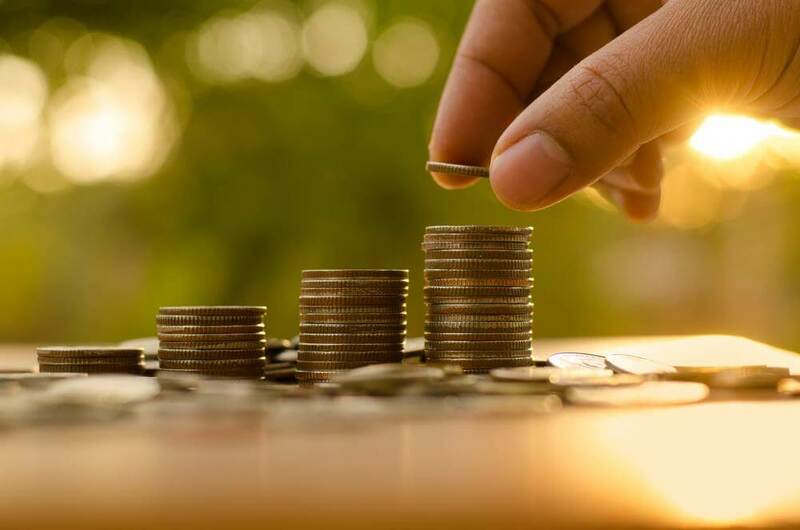 Baring Asset Management has announced its intention to launch a range of Hong Kong domiciled funds which it plans to bring to market in early 2015, subject to regulatory approval. Barings has decided in principle to appoint HSBC as administrator, trustee, transfer agent and custodian for the range. Gerry Ng, CEO, Barings Asia Ex Japan, said: “We have a long and distinguished record of investing in Asia and this new development furthers our commitment to investing in local talent and infrastructure in the region. Initially we plan to launch a focused range of locally domiciled funds in Hong Kong, drawing on our deep pool of asset management expertise. 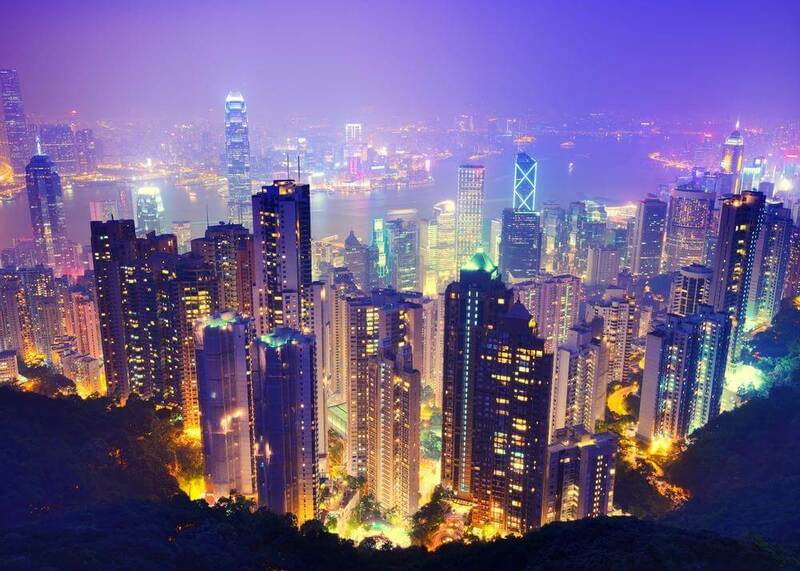 Barings has been active in China for over 220 years and opened its first office in Hong Kong in 1973. The firm launched one of the first mutual funds investing in the region in 1982, managed the first dedicated China fund in 1985 and were early investors in China’s domestic A-share market. Currently Barings manages assets in excess of US$14.4bn in Asia Ex Japan (of which US$3.7bn is in China/Greater China) and employs over 130 staff in that region. Force Over Mass Capital (FOMCAP) has launched a new SEIS/EIS investment vehicle which gives individual investors access to the rapidly growing start-up technology space while allowing them to receive tax reliefs of up to 64% of the capital invested under the Enterprise Investment Scheme. The accelerator fund aims to close the funding gap between crowd funding and traditional venture capitalists in the start-up technology sector allowing investors to benefit from its explosive organic growth potential. The investment strategy aims to deliver both capital preservation as well as growth which, has historically been a challenge for most SEIS/EIS funds. The investment team will mitigate the risk associated with investing in start-up businesses by applying a unique risk management and performance evaluation mechanism – an algorithm which analyses the makeup of the founder, the market potential and the business proposition of potential investee companies. In addition, FOMCAP has a three stage investment approach as to pre-empt the possibility for business strategy dilution of the investee company. Phase one consists of an initial capital deployment of around £150,000, followed by a second tranche aimed at increasing market share, new product development and optimising production process and cost structure. Stage two and three will provide direct co-investment opportunities for FOMCAP investors and external strategic partners. FOMCAP combines both financial investment expertise and deep understanding of the start-up technology space through the exclusive partnership with Dreamstake, a leading web-based accelerator platform specialising in technology start-ups demonstrating high growth potential with a network of over 10,000 entrepreneurs and a portfolio of over 500 start-ups. 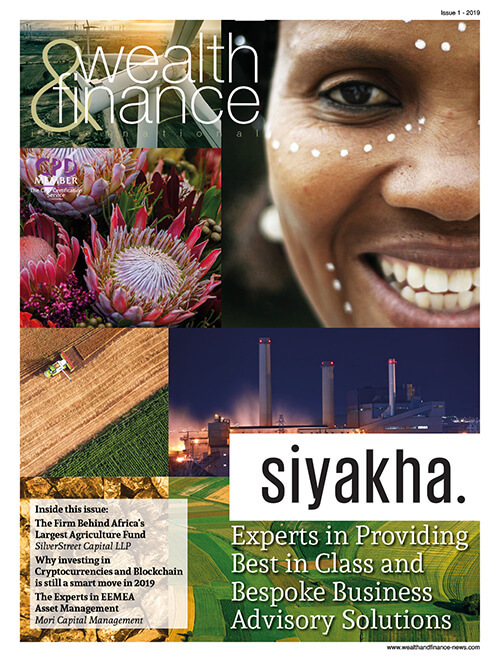 FOMCAP also partnered with Sapia Partners, a leading EIS investment manager and corporate finance advisory firm. Sapia comprises a team of highly specialised, senior professionals with expertise in investment banking, principal investments and private equity. The Chelverton Investor Club – very much in vogue given the growing appetite amongst investors for crowd-funding and more direct forms of participation – raised £1.2m of equity from its High Net Worth membership towards the acquisition of Crawley-based Tufwell Glass from Laidlaw Interiors Group for a consideration of £2.4m, investing alongside Brownhills Glass (a trade partner), with supporting debt finance from Lloyds Bank and Lloyds Bank Commercial Finance. 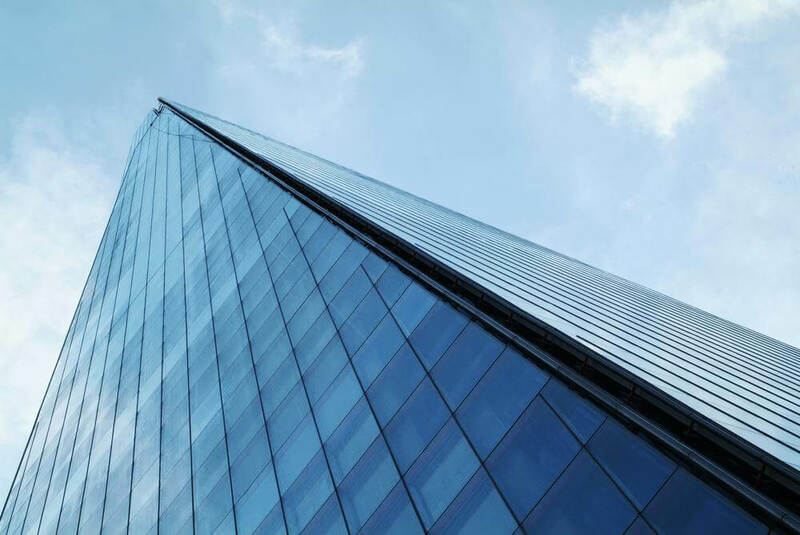 Tufwell, a market-leading and long-established glass processing business, supplies toughened, laminated and mirrored glass for contractors and end-users throughout London and the South East, with recent installations in the iconic Shard and at the Olympic Park. The Company’s focus on a strong service ethic, with quick turnaround on low volume specialist requirements, has enabled the business to thrive during the recession, which has seen other businesses, similarly centred on the construction sector, struggle. Its strong performance has mirrored that of Walsall-based Brownhills Glass, which delivers a similar proposition to its largely Midlands-based customers, with significant synergistic benefits expected to derive from the alliance of the two businesses moving forward. The deal was sourced by experienced corporate financier Steve Thornhill, working with his long-time client Brownhills Glass. Laidlaw Interiors Group had appointed BDO to secure a sale of Tufwell, its non-core glass division, and Brownhills and its funding partners were quickly identified as ideal purchasers. Silverfleet Capital, in conjunction with mergermarket, today publishes the findings of its European Buy & Build Monitor for H2 2013. The Buy & Build Monitor tracks add-on activity undertaken by European companies backed by private equity. 129 add-ons were reported in H2 2013 compared to a H1 number of 141, which has been revised upwards from 124. Further data for smaller Buy & Build transactions usually emerges well after the publication of this report. Therefore, based on our experience, the number of deals in H2 2013 is very likely to be revised upwards in our next report possibly at the expense of the average reported deal size. However, we conclude that activity levels will ultimately have been at least level if not slightly up in the second half of 2013. The average disclosed value of add-ons in the final quarter, based on the 15 deals with disclosed values reported in that period, was markedly higher, increasing by 56% to £84m from £54m for the first three quarters of 2013. The annual average values for add-ons in 2013 and 2012 are £62m and £46m respectively. The largest of the deals in the half year was PAI-backed Swissport’s €450m purchase of Servisair UK, announced in August 2013. However the increase in average deal values in Q4 2013 is explained by three noteworthy transactions in the final quarter of 2013: The CAD 650m purchase of Maxxam Analytics by Bureau Veritas, Guardian Financial’s €350m acquisition of Ark Life, and Aenova’s acquisition of Haupt Pharma for €260m. Bureau Veritas, Guardian Financial and Aenova are backed respectively by: Wendel, Cinven and BC Partners. Commenting on the findings, Neil MacDougall, managing partner of Silverfleet Capital said: “During the final quarter of 2013 there was a very noticeable increase in transaction size, with the average deal size at £84m being the highest since Q1 2011. However, the indications are that the overall number of add-ons will have remained broadly flat compared to the first half of 2013. European high-yield bond issuance has surged in recent years as sponsors have tapped into the liquid, cheap, and covenant-lite financing offered by bonds, to refinance loans and to support mergers and acquisitions (M&A). However, there are early signs that the popularity of financing M&A via high-yield bonds is waning, while loans are regaining ground. In 2013, 59% of M&A financings (mainly leveraged buyouts) tracked by S&P Capital IQ LCD across the European loan and bonds markets were financed by term loans and a revolving credit facility (RCF) – the lowest share in four years – while 14% were financed by high-yield bonds and an RCF, the highest share in four years. In contrast, in 2014 year-to-date 77% of all M&A deals have been financed by loans only and bond-plus-RCF financing has not yet been used. 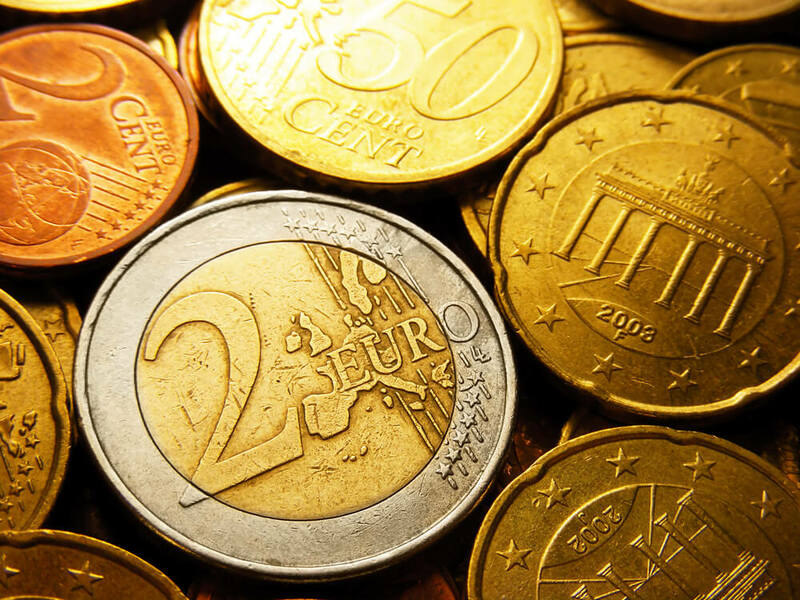 Supporting this trend is the growing acceptance of covenant-lite loans in Europe, as investors become accustomed to seeing deals structured in this way. Covenant-lite loans (i.e. 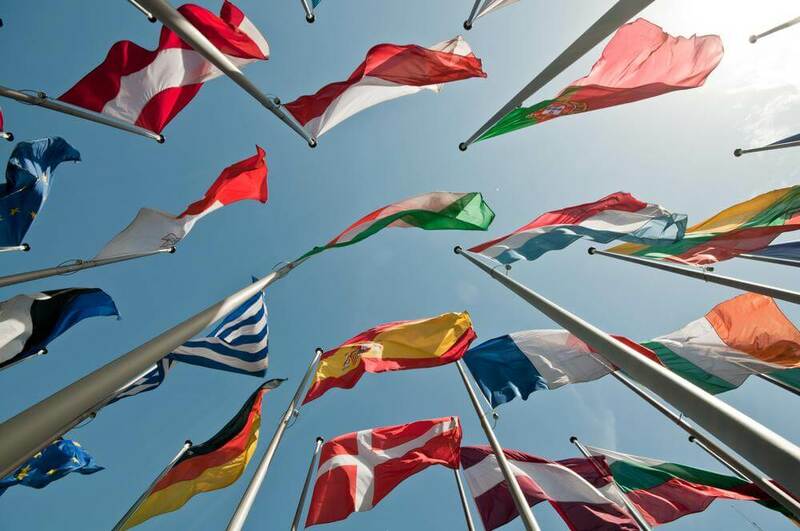 loans with no maintenance covenants) have begun appearing in Europe via cross-border transactions syndicated in Europe and the U.S. In 2014 year-to-date*, approximately €2bn of covenant-lite loans have been sold in Europe. This compares to 8bn in 2013 (full year), €1.4bn in 2012, and €7.7bn in 2007. Chelverton Asset Management has confirmed that it has appointed Richard Bucknell as Investment Director in its unquoted equities team, which is responsible for sourcing and executing quality investment opportunities in private UK companies for a range of High Net Worth (‘HNW’) investors and private investment offices. Bucknell, a highly experienced private equity investor, has been working with CAM as a consultant since September last year, and will report to CAM’s Managing Director, David Horner in his new role. Prior to CAM, Bucknell led more than 20 new investments in small and medium-sized enterprises, and has previously held senior investment management positions with Barclays Ventures, ISIS Equity Partners and Catapult Venture Managers. Bucknell joins CAM at an exciting moment in its evolution. The Company launched the Chelverton Investor Club, an exclusive private members club for HNW individuals, only last year. 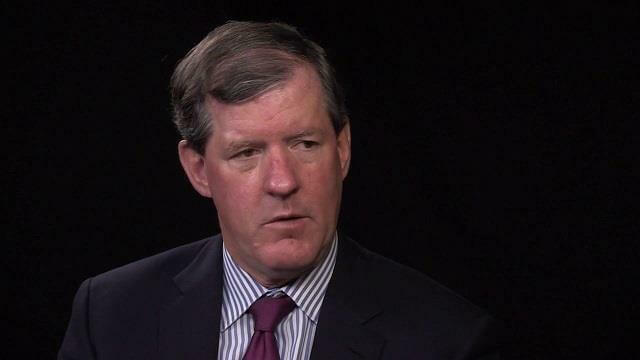 Since launching the Club, CAM has seen a significant uplift in unquoted investment activity. 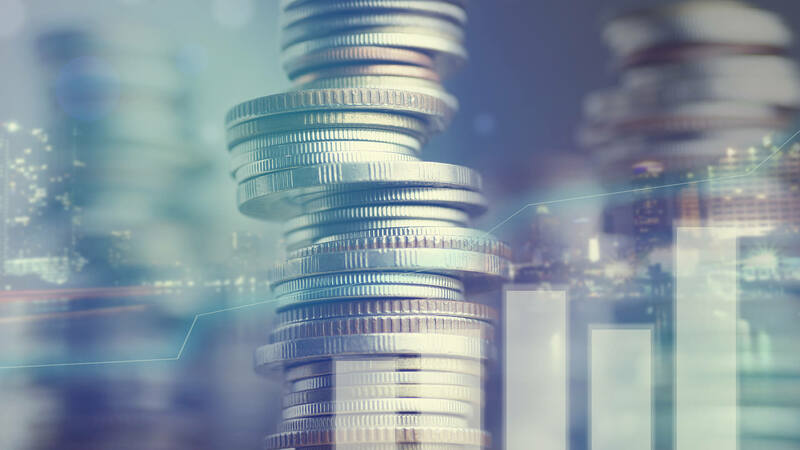 Bucknell will lead transactions of equity investment of between £500,000 and £3m on behalf of Investor Club members, and will also help to identify and transact larger equity investments on behalf of those amongst CAM’s unquoted equity clients requiring bespoke investment solutions. Bucknell boasts a highly developed network of Corporate Finance contacts, in the Midlands and the South West in particular, and as part of the Company’s unquoted equity team, will be based in the Bath office. 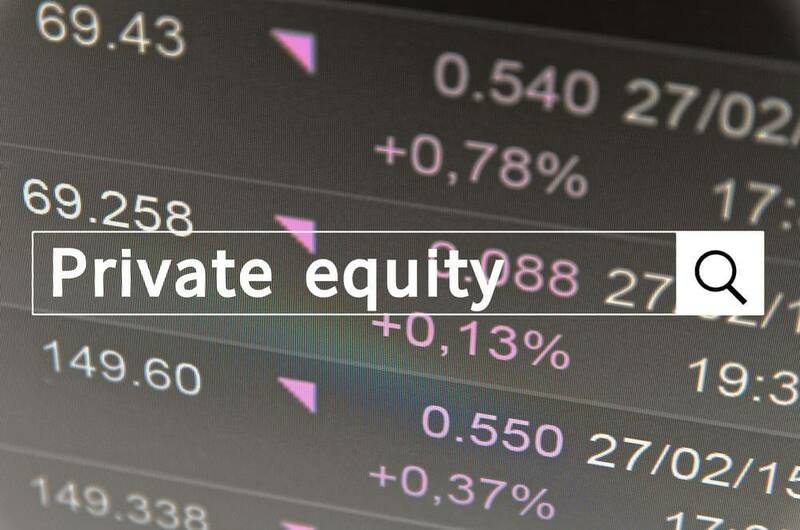 Following the recent significant final close of Apollo Investment Fund VIII, the largest buyout vehicle to have reached a final close since the global financial crisis in 2008, Preqin has taken a closer look at the private equity buyout fundraising market. In the factsheet below are key figures including an updated table of the top 10 buyout funds closed ever and the largest buyout funds currently in market, as well as charts examining historical fundraising, the changing average size of final closes, and a breakdown of buyout fundraising by fund size. The $18.4bn raised by Apollo – including $17.5bn in LP commitments – has pushed the average size of buyout funds closed in 2013 to over $1.2bn, the largest average size seen in any year since the onset of the global financial crisis.